Conquer Casino is a must try online casino for those who like to play slots and other standard casino games at the comfort of their home. This establishment is one of the brands that ProgressPlay Limited operates. The company is situated in Malta’s jurisdiction in which gaming licences are often granted. Conquer Casino was first introduced to online players in 2004. 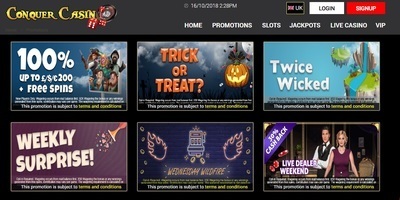 After four years in the online casino industry, it is one of the favourite spots for those who love playing casino games while winning cool prizes. The casino is licenced by both the UK Gambling Commission and the Malta Gaming Authority. If you are searching for an online casino that lets you play using your smartphone or any mobile device, you will like this website. It has a mobile version that allows users with smaller screens to access the games without any problems. The casino offers self-exclusion period and has an outstanding chat support that you can reach anytime you want. It is always open 24/7. The casino has many games ready for its players. 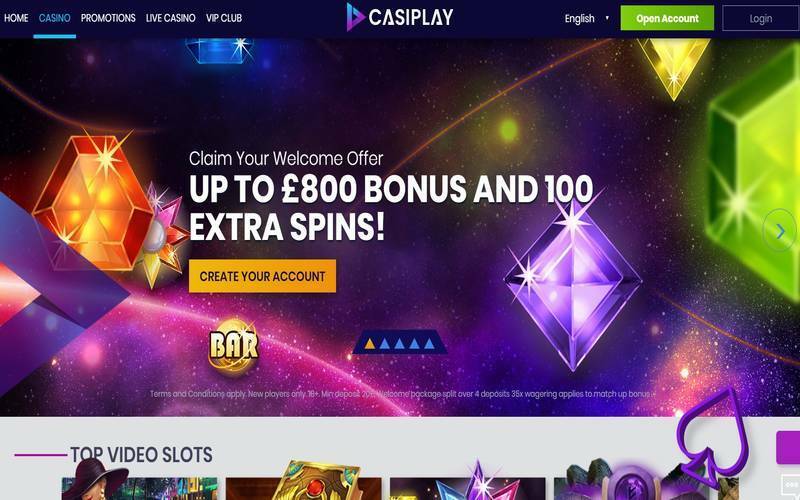 Those who access the website using their desktop can play a wide variety of casino slots. In fact, they can play more than 460 games. Meanwhile, mobile slots may not be as many as the available games for desktop players but there are still plenty of choices. You can choose from any of the 240 mobile games on the website. If you want a more exciting challenge, a live dealer game can make you feel as if you are indeed at a real casino. When it comes to the games that you can play on the website, you will find various developers that offer their best titles. Some of the software suppliers that Conquer Casino is working with are NYX, Lightnight Box, Genesis Gaming, Quickfire, and Microgaming. If you have been playing at a few other online casinos, you will recognise the names mentioned. Some of the games that you will surely appreciate are Avalon II, Thunderstruck II, Break da Bank, Elementals, and Starlight Kiss. Since the site is still relatively new, the number of games should still grow even more. If you are not winning at slots games, you can switch to other genres. For instance, you can try the site’s table games where you will find different varieties of roulette, baccarat, and blackjack. The casino only accepts GBP, EUR, and USD from its players. It is restricted in certain countries, including Italy, France, the US, Denmark, and Belize among several others. If you are ready to deposit so you can make a wager, you can use different payment options, such as Maestro, Skrill, debit and credit cards, Neteller, and WebMoney. The site also accepts payments performed over the phone. Meanwhile, for withdrawing your funds, you can choose from iDeal, Giropay, Trustly, Neteller, and Paysafecard. Waiting for pending withdrawals usually lasts 72 hours if there are no problems with your account. Just like with other online casinos, Conquer Casino has its bonuses and promotions. When you sign up, you immediately receive 100& bonus even though you will not benefit from cash backs from this website. In total, bonuses can rack up to £200, which will be given to you the first time you have made a deposit on your account.